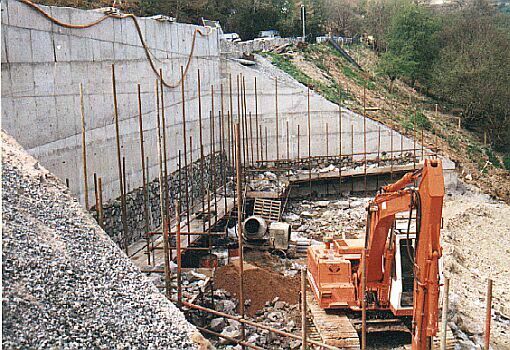 The largest cladding project I have undertaken was in spring 2002, a road retaining wall repairing a landslide in the Horseshoe Pass near Llangollen (left). 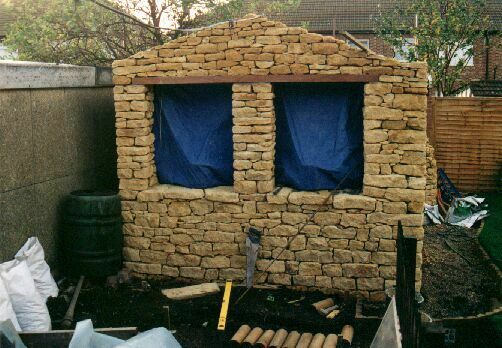 The main project was for K Construction , with the stonework sub-contracted to Alan Jones, with me carrying out the bulk of the work for him. In the summer of 2002 I clad Bron Ganed, a newly built house at Moelfre near Abergele (right). The work included dressing all the coins, and positioning some hefty lintels.